2018 4th of July Week long celebration…and Uncle Billy Bob’s is right in the middle of all the activites! Come on up to the Mts.and stay and play for the 2018 4th of July week-long celebration! Starts June 29th with the GV Stampede and goes through the evening of July 7th, lots of fun stuff to do all day and all night. Uncle Billy Bob’s is offering you all a great deal on your 4th of July stay, if you book (well you can only book for 3 nights over the 4th) but you can choose which dates you want, like maybe the 2,3 & 4th, or the 3, 4, & 5th, of the 4, 5 & 6th, it’s up to you! But here’s the best part, this is what you’ll get! Ring side seats of all the 4th of July Fun, you’ll see the parade from the comfort of you lawn chair as it passes right below you, many of you know that we used to have some really crazy 4th’s up here, that kind of got shut down by the City, but we have an alternative place that you can still shoot off your personal fireworks and it’s just as much fun, but a lot safer! You also get the most incredible fireworks show, just across the river, and you don’t have to fight the crowds! We’ve added a Carnival this year, so you can send the kids down, it’s only a 5 minute walk to the park and let them have a blast! Rides, Game and Fair food! Plus when you book for 3 nights, you get a free family (4) (2 for the Glamper) pass to the Carnival provided by UBB his-self! And you also get at 10% discount for a Trail Ride and or a White Water trip! So what are you a waitin’ for? Once they’re booked we can’t give you this deal it will be gone to some other lucky folks. 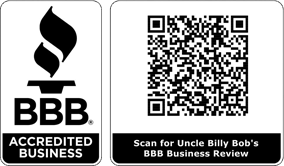 Book today by sending me an email at info@unclebillybobs.com or give us a shout out at 208-462-5262!!! Which Rental Are You Interested In?